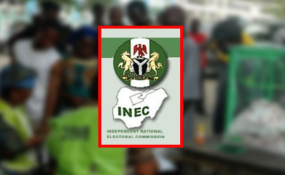 Political parties numbering 61, are to file a suite today, at a Federal High Court in Abuja, against the Independent National Electoral Commission (INEC) to challenge what they term "manipulated" 2019 election guidelines. The parties alleged that INEC had inserted new clauses in the guidelines which they argued would lead to "massive rigging" of the elections in favour of the government in power, if allowed to scale through. The National Chairman of Action Peoples Party (APP), who is also the National Secretary of Inter-Party Advisory Council (IPAC) and spokesman for the 61 parties, Chief Ikenga Ugochinyere, said in a statement, yesterday, that Section 155 of the Electoral Act gives political parties the power to challenge INEC's election guidelines in court. According to the statement, leaders of the political parties were set to pass a vote of no confidence on INEC chairman, Prof. Mahmood Yakubu, if he decided to release the "controversial guidelines" today, without meeting with political parties for their input. "Political parties predict 2019 pre-election crisis over INEC unilateral decision to issue guidelines which do not promote election credibility. Political parties demand INEC retention of the 2015 separate accreditation and separate voting system to avoid confusing voters due to closeness of polls. "This move is to stop INEC from releasing the guideline and also quash some sections of the draft guideline which are in conflict with the provisions of the 1999 Constitution including the obnoxious provisions inserted into the guideline which will lead to massive rigging of the 2019 elections," he said.